Online auctions give buyers the chance to purchase available properties quickly and with no chain. Sellers benefit because a substantial reservation fee must be paid upfront by the purchaser so there’s far less chance of them pulling out than with traditional private sales. However, as online property auctions – also known as ‘conditional auctions’ or the ‘modern method of auction’ – are a new way of doing business, there are important points that buyers and sellers need to know and understand. Properties are displayed online with an auction ‘timer’, usually set for 30 days. You register with the estate agent and place your bid. You may have to pay a ‘participation fee’, part of which is usually refundable. The estate agent and/or auction provider will ask you how you intend to fund your purchase. You need to be confident that you have the funds otherwise you could be out of pocket. Speak to a fee-free mortgage broker today with our partners at London and Country to see how much you can afford. It’s usually possible to view properties sold via online auction; this will be advertised on the listings. You should also make sure you get particulars about the property and price accordingly. For instance a short lease or sitting tenants can substantially reduce the market value. You can also instruct a surveyor to report on the condition and offer an independent valuation before bidding ends. You can usually bid online, 24 hours a day, seven days a week. At the end of the auction period, the highest bid wins. To secure the property, you must pay a non-refundable reservation fee immediately by debit or credit card or bank transfer. This fee is usually at least 2.5% + VAT of the sold price, or a minimum of £6,000 inc VAT. So on a £225,000 property you would pay an additional fee of £6750 (incl VAT). You aren’t legally obliged to proceed but if you don’t you will lose your reservation fee, while if the seller pulls out, you should be refunded the reservation fee. Check the terms of the contract from the auction company and estate agent before you sign up. If you do proceed, the sale usually has 56 days in which to exchange and complete. What are the pros and cons to buying a property through an online auction? The big plus is that the process is transparent, so you can see immediately how bidding progresses. Depending on the terms of the online auction provider, buyers and sellers may have to pay a share of the costs of the legal pack. This includes the title plan and register or evidence of title, local authority searches, water and drainage search, property information questionnaire and a fixtures and fittings list. It’s also known as the auction pack, buyer’s pack or seller’s pack and typically costs up to £200. If you win the bid there is usually a minimum reservation fee of at least £5,000 + VAT. You’ll have to have the reservation fee ready and waiting; it can’t be part of your mortgage funds because of the need to pay it instantly once you’ve won the auction. It is non-refundable if you decide to withdraw. Paying a reservation fee will actually increase the amount of stamp duty a buyer owes. Current HMRC policy is that the chargeable consideration (monies or monies worth) for a land transaction is what has been given (either directly or indirectly) in order to acquire the subject – matter of the transaction, by the purchaser or a person connected with him. This includes fees which have to be paid in order to acquire the property. This means that whatever the buyer pays, it will form part of the purchase price for the property and it will be included in his liability for stamp duty. Yes that’s right, not only does the buyer have to stump up a reservation fee, it will all be added on to the price they have paid to acquire the property in HMRCs eyes and will be add to their stamp duty bill. Given properties sold via online auction are usually lower in price it shouldn’t impact your stamp duty tax too much, but it is another chip away at your home buying budget. So if you are bidding on a £225,000 property and have a 2.5%+VAT (£6,750) reservation fee to pay, the total price you pay for the property is £231,750, increasing your stamp duty bill from £2,000 to £2,135. You, your estate agent and online auction company start by agreeing the reserve price. This is the lowest price you’re prepared to accept, not the ‘headline price’ it’s marketed at. It will be kept confidential. The only prices anyone else sees are the starting and actual bids. Remember, your property may end up selling for less than the price it’s marketed at. So you need a very clear sense of what you are prepared to part with it for. You should resist pressure from your estate agent to set the reserve too low simply to achieve an easy sale. You can watch bids being made online so the process is very transparent. If the buyer pulls out, their reservation fee is paid to the estate agent and online auction company, not you. The lions share of the costs involved in selling through an online auction are borne by the buyer, not you the seller. As the process is transparent, you don’t need to wonder if the estate agent is always telling you about offers you receive. 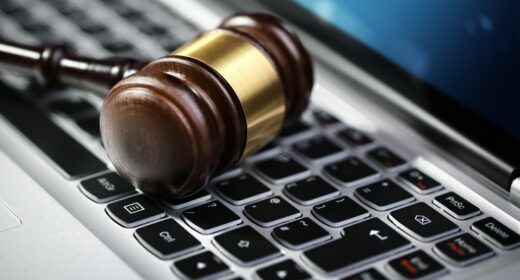 An online auction may be an attractive option if you have a property which needs to be sold quickly, perhaps for probate or relocation reasons. It may also be an appealing option if you think your home may take a long time to sell on the open market; apartments with short leaseholds or properties requiring serious renovation, for example. A bonus of online property auctions is that there are fixed dates for exchange and completion set by both sides. This takes away the uncertainty and time-lag often associated with usual sales. The sold price achieved at auction will generally be less than you would achieve on the open market, so you need to weigh up the pro’s and cons. You may sell your house for less because most savvy buyers will work the reservation fee into the price they are willing to pay. So if they are bidding on a house worth £80,000, they would only bid £74,000 to allow for the hefty reservation fee of £6,000. So while it looks like the buyer pays all the fees, you are likely to be losing out too. The estate agent and auctioneer who split the reservation fee no matter what price you achieve, are the main winners from online property auctions. There are plenty of specialist online property auction sites that come up from a quick search online which conduct online auctions on behalf of estate agents. Some estate agents advertise online auction properties themselves. You can find these on their website or take a look on Zoopla and Rightmove using the keyword search function to filter the properties selling through auction.